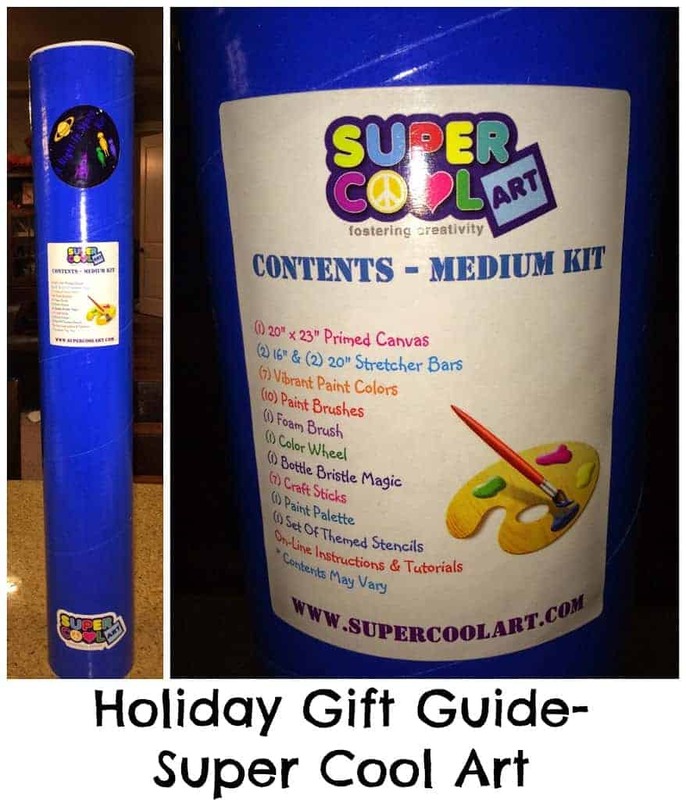 Holiday Gift Guide- Super Cool Art Kit Review and Giveaway! These Art Kits, really are, Super Cool. I received a Super Cool Art Medium Kit for review. All opinions are my own. The wonderful thing about this kit, is that the supplies you receive are high quality and really helps you to make the best art project that you can. You can see from the photo below, some of the great products that you receive. I enlisted my niece in helping me with this review because she is very artistic and loves doing projects. I knew that she would be perfect for this and would love being able to complete that whole project from scratch using her imagination and creative abilities. This was one of her favorite parts about the project. 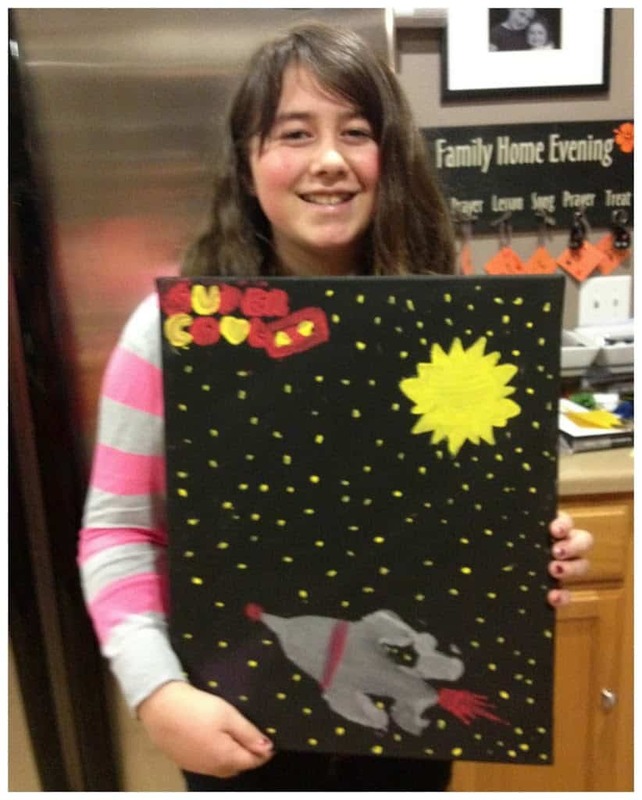 She loved that you had the opportunity to make your very own canvas and then paint it. There is so much satisfaction with making the whole project from start to finish. 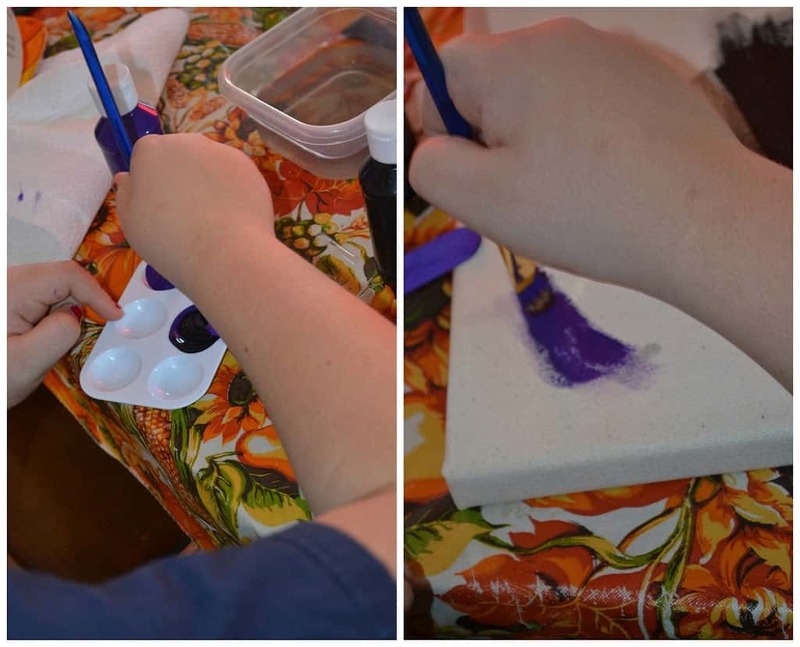 As shown below, with this kit, you have the opportunity to build your own canvas. The canvas and stretcher bars are included in the set and you can staple the canvas onto the bars. When you finished assembling your canvas, the fun starts with creating and painting. I don’t know about you, but I love paint projects. There is something so exhilarating about paint and a paint brush. Where I am not the best artist, it is something that I love to do. My niece loved being able to use the included stencils to make a space masterpiece. At this point, you have complete creative control with this kit to make a project that you come up with. I love this kit because it encourages imagination, creativity and hard work. 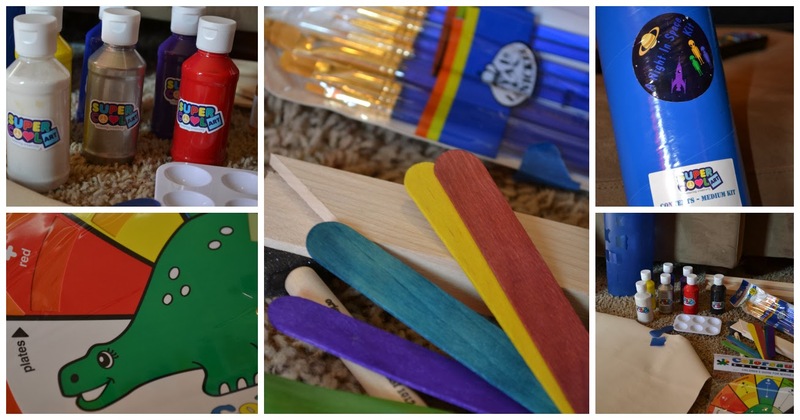 Art is so important and so many great skills can be learned with a Super Cool Art Paint Kit. Here is her Super cool Night in Space Masterpiece! Hear about her project directly from her. One lucky Momsreview4you reader will win a Medium Painting Kit or a Deluxe Drawing Kit in the theme of their choice.